Though a BBC Magazine piece published this week piece is riddled with fairness bias (a malady shared, regrettably, with virtually all media coverage of Israel), its introduction to the subject of "anti-Zionism" was at least... tolerable. Missing are the BBC's typical and gratuitous attacks on Israel; instead, one finds a discussion that—while dodging an opportunity to actually distinguish what is true from what is simply anti-Israel propaganda—nonetheless attempts to treat its subject matter objectively. Zionism is the movement arising from the desire and the right of Jews to political self-determination in their native land. Like democracy, Zionism is not, and never has been, tied exclusively to the right or the left, to socialism or capitalism, or to any other single theory of governance. Every government of Israel, from that led by Ben Gurion's Mapai to that of Netanyahu's Likud, has been a Zionist government, despite stark political cleavages that make America's Democratic/Republican divide seem quaint by comparison. Religious or cultural, agricultural or urban, Ashkenazi or Mizrahi: there is room for all in the great nation-building project (including, by the laws of Jewish tradition and the customs of modern civilization, the country's non-Jewish residents and citizens). Therefore, identifying oneself as "anti-Zionist" implies precisely the opposite of what apologists would have us believe. An "anti-Zionist" is rejecting no particular policy, nor any set of policies; rather, he is denying to the Jews alone the right of self-determination extended to every other nation on the planet. For the "anti-Zionist", there can be no policy dispute, because no action taken by a Jewish state (other than suicide) is an acceptable alternative to any other action: all are conceived in sin. The loudest and best-informed criticisms of any given position of any Israeli government are vigorously asserted by Israelis, every minute of every day, in print, online, and on the air; in cafes, in taxis, in demonstrations. 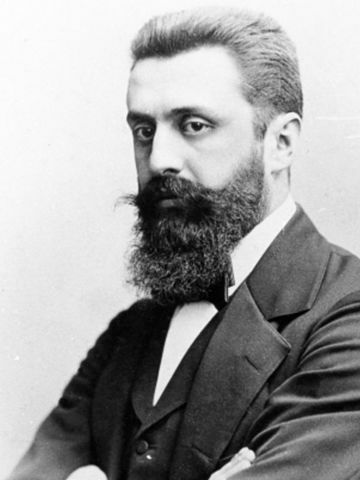 Such disputes do not merely represent something other than "anti-Zionism"; they represent its exact opposite. The cacophonous political debate in fact epitomizes the stunning success of Herzl's vision: a rowdy marketplace of ideas, established by the collective efforts of a diverse assortment of Zionists, as individuals and through organizations. The heat and light generated by this teeming intellectual bazaar power the Zionist enterprise and give it direction. Nation-building is the Zionist mission; disagreement, its hallmark. Challenge any group of Zionists, if you wish—other Zionists do so continually. Challenge Zionism itself, however, and your veneer of humanity vanishes to reveal the same thuggish anti-Semitism that fueled the violent, illiterate hordes in murderous rampage through the shtetls of Europe.